she showed up on time, she rocked for a good strong 20 minutes, and the kids were pumped like i hadnt ever seen before. and then took a picture with me. 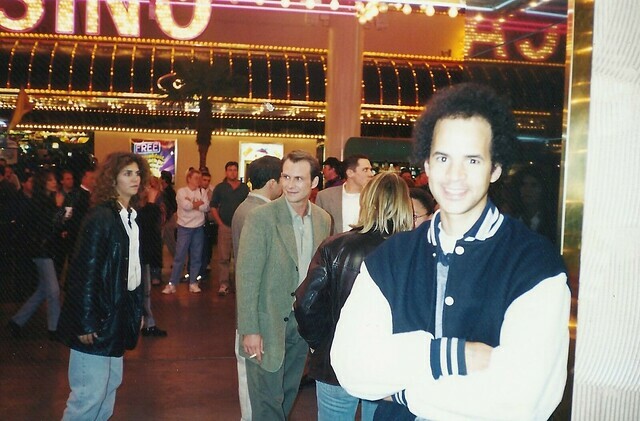 while in vegas one evening i nearly ran right into christian slater and jon favreau who were filming Very Bad Things. minutes after taking this photo i went to my ATM and saw that instead of a reasonable amount of money i had exactly $20.50. i was shocked. i was sad. i was scared. but i made it out of vegas fine and had a good time while i was there. and now any time im depressed in vegas for being low on funds or lower than i had expected i remember that moment right after running into mr pump up the volume, heathers, gleaming the damn cube, and i think at least youre not as effed as you were then. speaking of vegas. 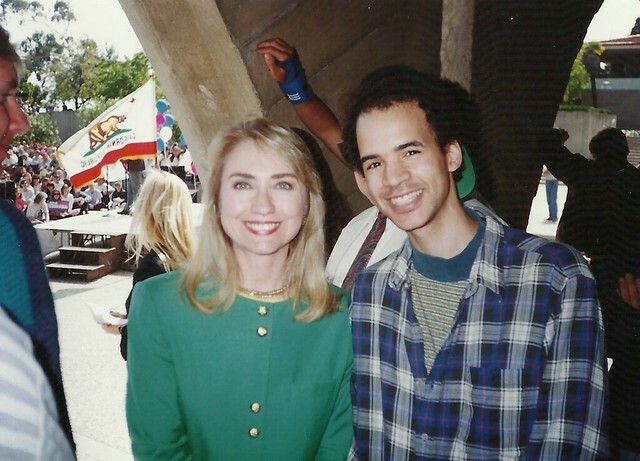 this is from a time even before hillary. 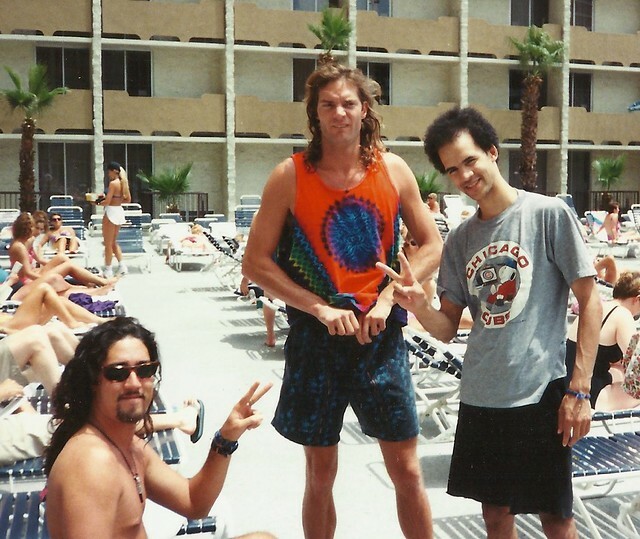 this is from the pool of the imperial palace with my buddies chris and joe who im very lucky to still be friends with today. we had seen the light the night about 6 hours before this pic and later that day we were to see steve miller, sting, and the grateful dead in a stadium filled with girls so uncomfortable with the heat that they just faught it off the way only hippie girls could. for in the middle of “Drums” which is the part in the middle of the Dead Show where the two drummers go for it for a good 20-30 minutes, a thunderstorm crept up across the desert and could be seen behind the stage. and the naked crowd had been baptized by rock.